Although Thailand benefits enormously from a thriving tourism industry, poverty persists in more rural areas. We are calling for volunteers to join a Projects Abroad Care Project in Thailand to give underprivileged children the care and support they need while they learn and grow. Our Care Projects have volunteers working in day care centres, kindergartens, and special needs centres. Everyone can contribute, whether you are a gap year student, career breaker, retiree, or looking to give back during a vacation. Our Care Projects are all based in the town of Krabi, located one-hour flight south of Bangkok. The town is on the beautiful Andaman Sea coast of Thailand, which is a hugely popular destination for diving, rock-climbing, and those visiting the world famous Phi Phi Marine National Park. No previous experience is needed to volunteer on a Care Project. All we ask is that you have energy, enthusiasm, and a commitment to the children you work with! Thailand has numerous areas that are quite developed and schools that are of a high standard. However, there is a growing economic and social gap which means that not every child has access to the same educational opportunities. 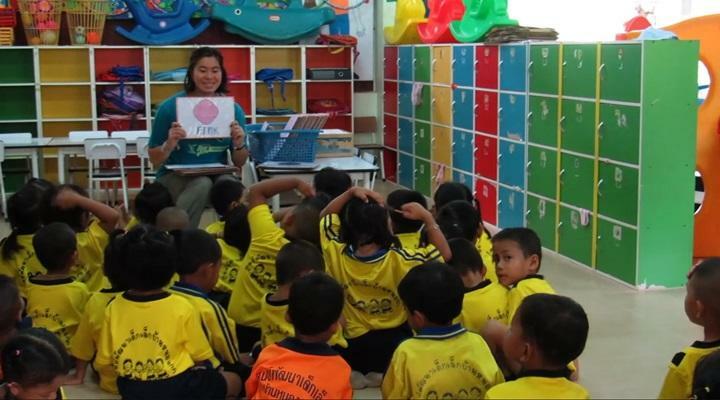 Our project partners in Thailand are all care facilities that provide free child care and education for children from disadvantaged families. As a volunteer on a Care Project, you will help to close this gap by participating in a variety of activities. This includes playing games, singing songs, improving basic literacy and numeracy, and teaching basic English classes. You will also contribute to their daily care and provide emotional support and individual attention. The majority of our Care Projects involve working in kindergartens with children aged from about 3 to 6 years old. This phase of a child's life and the support they receive at this time is vital, and the positive influence a volunteer can have on a child in their pre-school years will impact them for years to come. The main way in which the volunteers can assist in kindergartens is through organizing and running creative and educational activities that will expose the children to and give them a familiarity with English. In a country that receives so much income from tourism and where knowledge of English can double your salary, surprisingly few people speak it. Your knowledge of English will be hugely beneficial for the children. Any activity that you do with the children, whether it is drawing, singing, puppet play, painting or coloring, will help the children you work with and impact their futures. You will take part in a wide variety of activities within the placements to work towards the goals identified in the Care Management Plan. Each activity is carefully designed to be able to contribute towards our goals of improving English, promoting early childhood development, improving hygiene levels, increasing emotional support, improving the level of stimulation of each child under our care, and improving the quality of life of those living with disabilities. There is also the opportunity to participate in one of four mini-campaigns that we run through the year, which focus on education and literacy, sports and the outdoors, the environment, and health and hygiene. All of our project partners in Thailand are eager to have volunteers with fresh ideas and energy to help the permanent staff. We try to take advantage of any particular skills or talents our volunteers have and match them to the placement where they can have the greatest impact. However, it is important to let the local staff know about your ideas and any extra activities you would like to try out. Thai staff can sometimes be reluctant to ask you to do too much work, so please show them your enthusiasm and a willingness to get involved. Finally, set yourself achievable goals for your time in Thailand and remember that you are contributing to an ongoing process. 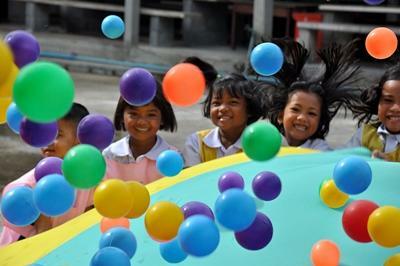 The kindergartens in Thailand have their main vacation from mid-March to mid-May, as well as a break from the start of September to the start of November. During these times we have special vacation programs to ensure we offer year round support. The General Care Project in Thailand is available from two weeks if you do not have time to join us for four weeks or more. This project has been selected by our local colleagues as being suitable for shorter durations for both the host community and the volunteer. Although you will gain valuable cultural insight and work intensely within the local community please be aware that you may not be able to make the same impact as someone participating for a longer period. While you’re in Thailand, you might also consider joining a 1 week Conservation & Environment Project. For more information, please visit our Diving & Marine Conservation & Environment Project in Thailand page. Our Combinations Page explains how you can combine not only projects, but also destinations.